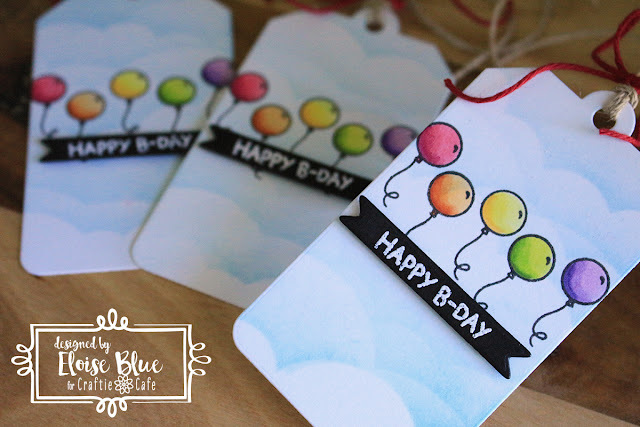 Hi everyone, today I'm here for Craftie Café and for today’s project I’ll be using Planner stamps to create some simple tags that I created under 10 minutes. I’ll also be using an older design of card that I created and using that to scale down onto a tag – which makes a tag design super easy to replicate fast. To begin, I die cut three tags from the ‘Tag You’re It’ die set from Lawn Fawn out of some white cardstock. I then used the Cloud Stencil from My Favorite Things and ink blended some Tumbled Glass Distress Ink over the layers to create a cloud background. You could create your own stencil though, if you don’t happen to have this stencil. You could just cut out some cloud shapes from printer paper and hold it over top, or use a die to die cut the border out of some cardstock or acetate, whatever you like really. Once I ink blended over the top I pulled out the Plan on It: Birthdays set from Lawn Fawn and stamped five balloons in a row next to each other on each tag and I also stamped the balloon strings underneath as well. Next up, I coloured the balloons. I used Copic Markers to colour all the balloons in with rainbow colours. 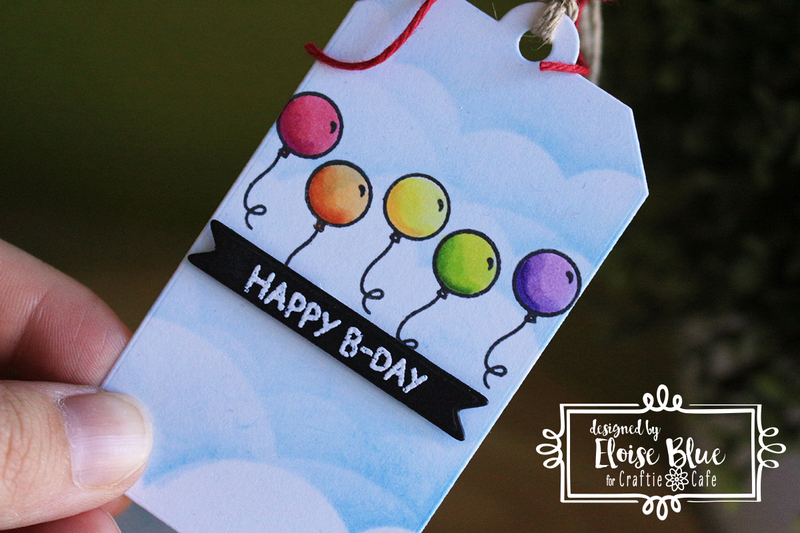 Once I coloured all the images in, I used a banner die cut and cut three banner strips from black cardstock, then used the ‘Happy BDay’ sentiment from the Plan on It: Birthdays set also and white heat embossed the sentiment on each of the strips. I then added foam tape on the back of all the strips and adhered them to my tags. To finish up my tags, I threaded through some natural twine in each, then used some solid red twine to tie a bow at the top of each tag. 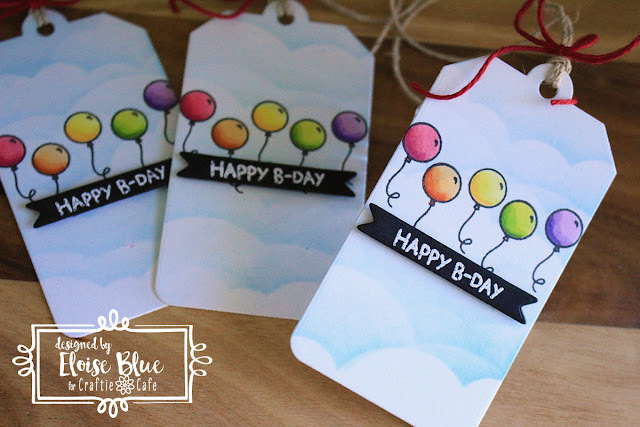 Thanks so much for stopping by today and I hope you were inspired to create some quick tags using small images from planner stamps. They have so many uses besides just using them for your planner. These are wonderful tags Eloise. I am a huge tag fan so I was excited to see these. I agree tags shouldn't be too much work if they wil be thrown out but its always nice to see quick and easy ones that are still amazing. TFS them. These are so cute, great job and I love how it only took you about 10 minutes!